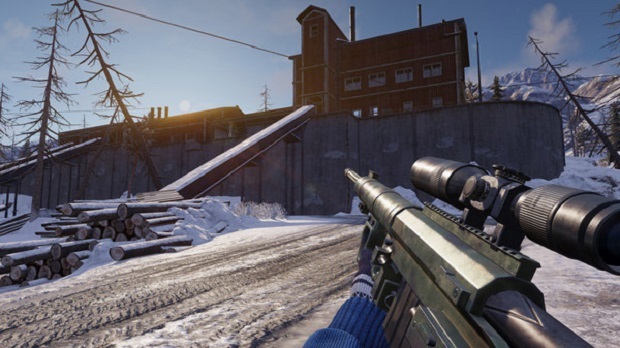 Seemingly, most of the online games have experienced hacking and cheating issues recently, and Ring of Elysium is no exception. 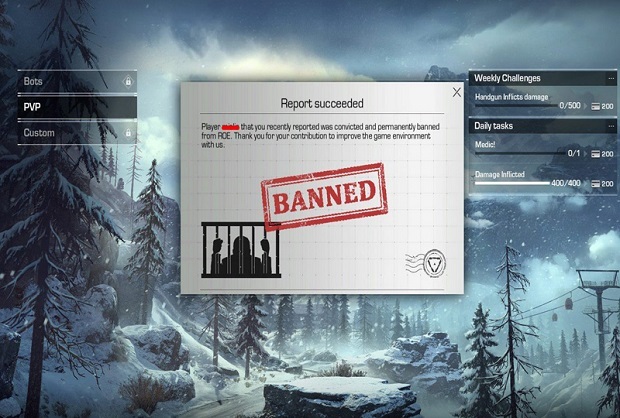 Therefore, Tencent has just released a new update for ROE in order to strengthen and fortify the anti-hacking method. 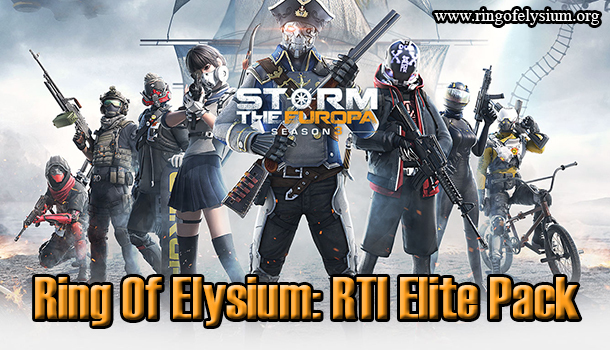 If you are a loyal gamer of ROE, then quickly check this update out! After Ymir has reached the last spot, if getting stressed and intense when defeating or eliminating the enemies, Adrenaline Rush will be triggered, which helps the player easily deal with the damage dealt by Ymir in the short time. Changed the landing area of the rescue helicopter. The rescue zones in a thick chain of buildings will be moved to the open zones. Increased the number of lootable items in Fort Tyrfing and the oil barrels in Andvari mine. When you are in the observation mode, you can denounce the player that defeated you or the one that you are watching. Adjusted the color of the notification prohibiting the players at the panel displaying the loss at the top right corner. The prohibiting notifications are in red color at the moment, but they are not much outstanding. Decreased the sound of the car engine that is being driven, which means it will be much easier for you to locate another vehicle moving thanks to the sound of your vehicle that is less noisy than before. Optimized the sound of walking on the snow. Optimized the first independent place of the first party and shifting the bending position as well as the dancing sound in order to distinguish the sound of the third party. Adjusted the distance of displaying LOD of the tree models, reduced the downloading time of GPU when displaying the large area of the tree. Fixed a bug due to changing to Full-Screen mode. Fixed a bug where the users interact at the lobby, the loading screen, the user interface picking the starting point, the inventory UI, and the statistical user interface, weren’t displayed accurately at a resolution of 21:9. Fixed a bug when the players weren’t able to use the items when they were sitting on a boat. Fixed a bug when the players could use the healing items on stairs and stone walls by pressing “Use” and the consumption key at the same time. 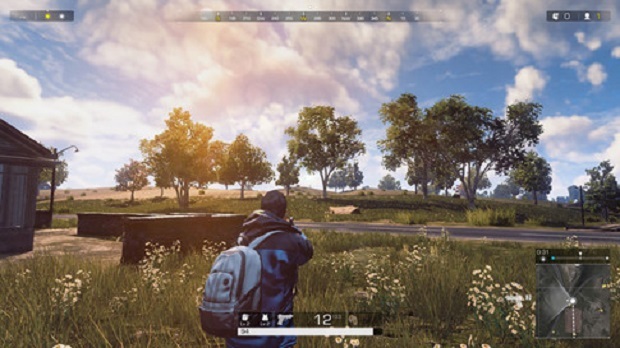 Fixed an issue when the players could see the malfunction of the character in FPP mode in one second after the point-picking screen has started. Fixed a bug when reconnecting after losing motion connection of a character being obstructed when climbing stairs and rocks. Fixed a bug when reconnecting after being disconnected, which caused the malfunction of paragliding if other characters (including the observers) toggled the glider during the reconnection process. Fixed some bugs obstructing the movement of the character. During the time of maintenance, the game won’t be available and the current performances will be directly interrupted. Please prepare yourself for this problem and so sorry for this inconvenience. If your PC uses the Intel graphics card and is experiencing a trouble, you can try updating your driver to a new version to fix this problem. Hopefully, NPH Tencent will do a good job in terms of preventing the hack and cheat from happening for their famous game in order to bring a better gaming experience to all the players. That’s all for the new update aiming to fortify the anti-hacking method for ROE. Stay tuned and keep calm for more updates in the forthcoming time.